Mongo bores at the Village Gate until "Afro Blue." 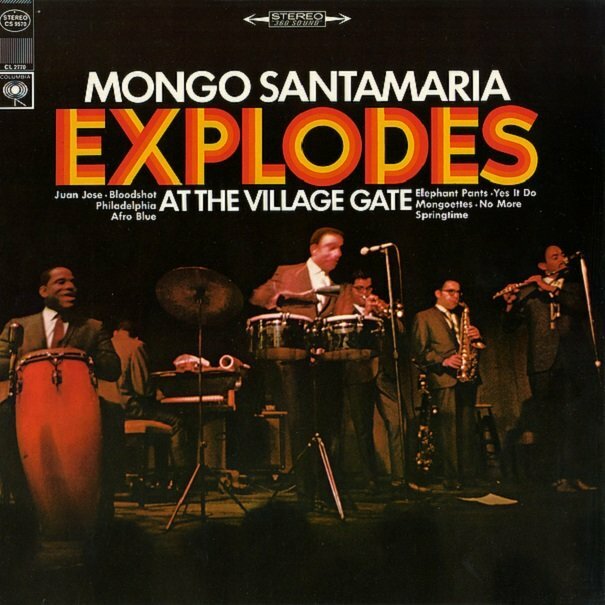 His ten-minute Afro-Cuban smoker recovers all the melodic impact, engaging solos, and general feel that have been missing from his work for years. The early Chants album on Tico never sounded this good. Still, the song might have been slowed and stretched a bit further. Side two opens with the album's only uptempo number, but more interesting are the lazier "Springtime" and "Elephant Pants," a laid-back cousin of "Baby Elephant Walk" complete with trumpeted elephant sounds. Live is probably how most of the earlier Columbia material ought to have been recorded. 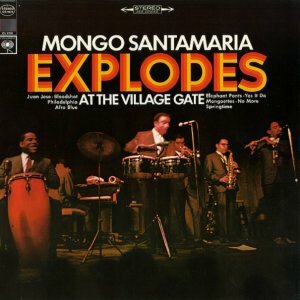 Explodes at the Village Gate has the intensity and sound, but most of the tunes are not especially strong.